In traditional machining (the old Decker high quality lathe or mill), the device is relying on passive mechanical stability. So the really precise machines became more and more massive and huge. Nevertheless when the room temperature changed or the machine heats up, because it's made of iron the machine expands or contracts, the precision changed. Old masters could compensate for this effect. In precise new CNC machines, the philosophy is a bit different, they are surprisingly delicate-looking compared to old machines. Because there is an active feedback to measure the position of the tool very precisely and even actively correct for these mechanical or temperature effects while it is running, it doesn't need to rely only on passive stability anymore because there is this correction in the most expensive machines. In a traditional lathe, the work piece is securely mounted and turns at high speed, for large glass pieces it becomes not that straightforward. In a modern CNC, the work piece is often stationary, the tool moves instead and can for example rotate at high speed to machine even glass. The computer can command the tool to turn in precise circles in a way which a human cannot. Precise manual lathes can't be purchased new so easily anymore except for special devices, partially because the CNC has become so dominant, it's even becoming not that easy or relevant to teach these old manual techniques anymore. I agree traditional lathes are great, they are more precise than a CNC if put into the hands of a master. Edited by X3782, 20 August 2018 - 09:06 PM. In precise new CNC machines, the philosophy is a bit changed, there is an active feedback to measure the position of the tool very precisely and actively corrects for these mechanical effects while it is running, it doesn't need to rely only on passive stability anymore because there is this correction in the most expensive machines. Judging from the photos and from what I have heard, the company of 35 people might not be doing that as you said......though they are advertising for CAM technician jobs as the above link shows, so they are apparently using that somewhere in their factory. On the other hand, for the much larger company employing hundreds of workers in the mainland, web pages and reports linked above claim they use this technology to produce many types of large mirrors and lenses very rapidly, and this is allowing them to grow very fast. The photo shows them using rows of the very latest and expensive CNC injection molding devices for smaller lens products (I can't tell for certain, but these can cost of order 100000 USD, and I see 3 of them). They can build very precise GEM mounts as the above photos show, clearly they have the software technology and the capital. A Zygo interferometer is shown in the photo. A good CNC for metal now costs 70000 USD or so. A quality manual lathe + mill costs 20000 USD or so including the legally required safety upgrades in some countries. In addition to the problem of training and retaining the really skilled people needed to operate these machines, you put the valuable worker into bigger risk of injury and legal liabilities if you let them work on the manual machine every day. People are slower, tire, make mistakes, go on holidays or on strike, works only 8 hours, each time there is a design change, you need to print out the drawing and tell them "don't make a mistake", they can come and go looking for better salaries. 400 thousand dollars or so buys you an optical CNC. The programming is easy, it's a few screens worth of code. If you can't figure it out, the company can send somebody and teach you. Then you can for sure produce a 4-5 inch lens with p-v = 1-2 lambda every 30-60 minutes (? ), day or night, continuously. If it breaks down, you call the company. If you want to double output, you pay another 400 thousand, and within 1-2 months you have it, just copy the code.... If I want to move the factory because I don't want to pay you high salaries, I move the machines and the code to another country, the people don't need to come. I don't like it, but that is roughly how this technology works. Edited by X3782, 20 August 2018 - 11:06 PM. My brain is not working now, but is that right? Suppose the axis of the mirror and the axis of the eyepiece are now radially misaligned, translated by 1 mm because I messed up with my collimation procedure. We next get happy and install the coma corrector in between; but unbeknown to me this corrector will also be misaligned with respect to the true optical axis of the paraboloid mirror by 1 mm (because the comma corrector unit is physically threaded, fixed to the "misaligned" focuser). Will now this misaligned coma corrector....... improve the induced aberration for the 1 mm area of the image around the radial misalignment? Doesn't the misaligned coma corrector instead make the aberration worse for this 1 mm area, "correcting" the coma in the wrong direction, then this part of the degraded image circle gets magnified by the short focal length eyepiece when you look at Jupiter? I get the impression, the coma corrector is relatively critical in terms of axial alignment, not so forgiving..... and maybe also in terms of placing it at the correct design distance from the mirror. Otherwise the amount of coma correction (or even its direction) might shift away from the design values. But maybe it's my imagination. Well, it's working allright, your brain I mean. Mine was on vacation! I checked the Oslo and found a few errors in setup about tilt and aperture of the corrector. I let the corrector tilt together with tilted optical axis and align itself to it and i didn't constrain it's aperture so Oslo was passing beams way past the lens edges and still calculated everything at the original, centered, untilted, focal plane. I fixed what I found was wrong and it is much less optimistic than with the first setup, but it still seems to be a lot better than without a corrector. I'll prepare the comparison with some graphs and start a new topic. I'll also post the Oslo files for anyone to check. give them a few more years and some products that sell better and I dont think it will be very far fetched. 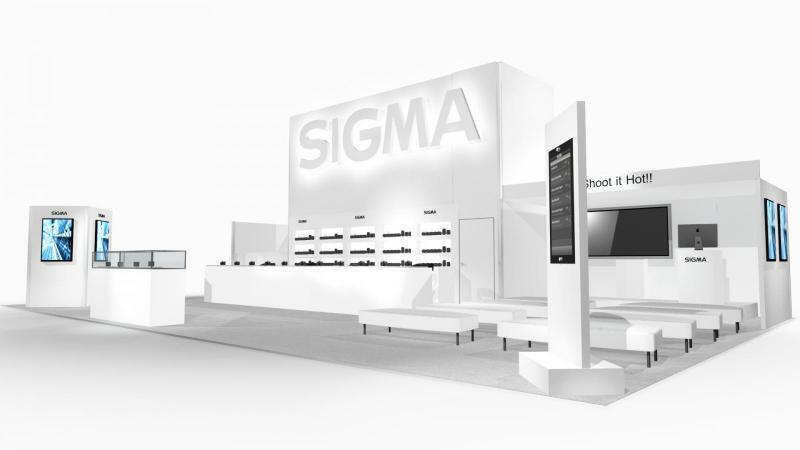 Old low end Camera lens manufacturers have come a looong ways, just look at Samyang and Sigma. Edited by calypsob, 20 August 2018 - 11:43 PM. New age is coming. In 30-40 years what we now know as master opticians will be guys that run machining shops for optics. Old low end Camera lens manufacturers have come a looong ways, just look at Samyang and Sigma. The traditional pitch-lap method used by ATMers is actually extremely sophisticated nanoscience if you think about it. You start with a plate of glass and a pitch-lap tool, both of which are crude and extremely rough, by far not microscopically flat. Nevertheless just by a frictional rubbing motion back and forth by hand (which is inherently extremely imprecise), it is possible to get 10's nanometer smoothness over a >10 inch flat, that can defeat a 400 thousand dollar CNC grinding machine. This is counter-intuitive, almost like magic, you would not expect such a technologically puny method to work. The process why it works is not fully theoretically understood as far as I know, but the hypothesis is: during the polishing of the mirror, opticians apply a slurry of abrasive grains (for example cerium oxide IV) with 100-nanometer-scale diameters on a soft pitch-lap tool, causing the grains to stick plastically on its surface. Actually even though the pitch-lap tool looks flat by eye, microscopically it is contacting the mirror surface at discrete pressure-points only, these points get dragged over the glass surface and scratches it at a microscopic level. But because the abrasive grains are softer than the glass, they tend to follow the surface of the mirror without getting too much buried into the material. The slurry chemically attacks the top most atomic layer of the glass, hydrates it, makes it soft compared to the bulk. The cerium oxide grains are hard enough to remove this hydrated uppermost surface abrasively, without deeply scratching the fresh glass underneath it. This chemical-physical process is extremely slow. By simple random motions of the hand (or polishing machine....) over many hours, countless pressure points appear and disappear continuously over the pitch lap-mirror surface interface and average out; in fact this action fills up micron-scale imperfections or holes in the glass surface. So that eventually you get a mirror surface that can in principle be nanometer-scale smooth. You can't do this for every type of material, glass happens to be chemically and physically the best candidate. It's a great coincidence (well it's not exactly a coincidence....) that this material was also transparent, so that lenses could be made centuries ago by this simple technique. The problem of this technique is that the abrasive chemical-physical removal process is extremely slow, one layer at a time. Modern corporate managers cannot wait, so in the grinding method there is like an array of microscopic, extremely sharp knives made of a material harder than glass, like diamond. This cuts into the glass at high speed and high pressure, removing precalculated chunks of glass, again and again, until we have the surface that we want. It's brute-force, not as elegant as the method that uses chemistry, but tends to be faster and better controlled. The weakness however is that so far the surface smoothness and precision is by far not as good as the abrasive polishing method. Edited by X3782, 21 August 2018 - 11:45 AM. The second 8 inch/F5 sample arrived in a sealed plastic bag, a white plastic lid fixed on the mirror surface with three pieces of tape. The mirror circumference seems to have the characteristic machine tool marks of e.g. grinding in a hurry with a tool that is rotating with moderate speed, the glass is chipped at numerous locations, though the mirror edges are bedeveled so no chip reaches the surface. The back side is frosty with some black paint spots. A layer of fine silvery reflective dust had settled around the mirror edge circumference, embedded into the pits; the same dust is also on part of the mirror surface. The evaporated aluminium layer appears to be relatively thick compared to the norminal thickness of an interferometrically enhanced 3-4 layer coating; some discoloration is seen around the perimeter. I blew off the contamination with dry nitrogen. Light scattering was higher than in the previous sample, though again I can't exclude the effect of possible contamination left on the surface. The precision of the figure seems to be lower, though maybe it is not a problem. When I looked at their web pages, both mass-mirror manufacturers no longer seem to specify p-v wavefront error values, and in my sample no test data papers were included. In my opinion, this seems a responsible and honest thing to do, rather than giving some number that may be unrealistic. I didn't check the birefringence. I don't own a mass-produced Dob OTA, but I noticed that some of them seem to have thin rolled-metal walls that can flex a bit, and often aligned grossly by diode laser only, with no cooling fans. This is probably because the consumer wants lower telescope weight and cost, rather than higher precision. In this case maybe a high-precision mirror could be an overkill because the OTA won't easily be able to retain the necessary higher degree of collimation. So maybe seen in total balance, this is a reasonable product with good cost performance, with features that mainstream users may want. But on average it certainly does not seem to have the same optical precision of a premium mirror aligned carefully in a premium OTA with fans etc., using sophisticated collimation tools. it's doubtful that the marketing can claim the telescope is effectively diffraction limited during actual use, besides the seeing issues. But astronomy can be enjoyed nevertheless. Companies are only responding to market pressures, a 35-person manufacturing company with an average salary of 950-1250 USD per month per employee has to have at minimum a product sales volume of several millions per year to keep paying the salaries, raw material costs, rent, taxes, marketing, distribution, management, and other costs of doing business, any slip there and the livelihood of people are at stake. If there are 10 mirror workers, they have to produce several hundred mirrors per month on average, if each mirror is to cost 200 USD retail which is the volume segment. If you increase the cost, the strong competition takes more market share and you are in deeper trouble, unless you can show your product is better, which is hard if you are a mass producer and there are established premium opticians that don't have the overhead of running a big factory controlling the high ground. So any mass-production technology or corner-cutting or speeding up will be used to compensate as long as the capital lasts, and that's good. Edited by X3782, 22 August 2018 - 09:08 AM. well, but as my experience and knowledge improved so did my Dob. Many trials and errors. I have certainly made it a better scope than as it came originally. believe it’s a decent scope/mirror now. contrasty views and it is a joy to use. We mostly all use premium eps and equipment. If Ihad the money to spend I’d go with premium makers, but then again there is a learning curve to observing and I enjoy ATM tinkering. Edited by GWING, 27 November 2018 - 07:51 PM. LoL!!!! Just envisioning that Made my day! How about a 15" finder? Concerning the OPs original question, I think I would consider a swap for a decent 10". However, I think I would need to use them side by side, for some time, before making the final determination. The decision would definitely include portability and ease of setup. There are some very good reasons why it is always said that the sweet spot is either a 6" f/8 or 8" f/6. Myself personally, I have an 8" for easy fun and a 15" when I want to get serious under dark skies. Imagine you own one, and only one telescope: A 6" F6 reflector, with superb, premium mirrors made by Zambuto or Royce (just imagine they made 6" please). If someone was to tempt you, to trade that 6" premium-mirror reflector, for a mass produced Synta or GSO reflector of larger aperture. ¿at what aperture would you cave in and accept the trade? If the Synta or GSO is not diffraction limited: Never ever. I had a 10“ f/6 Meade „research grade“ reflector for years. Planets always looked washed-out, but I first thought „that‘s the atmosphere“. After a few years, I attended a star party. 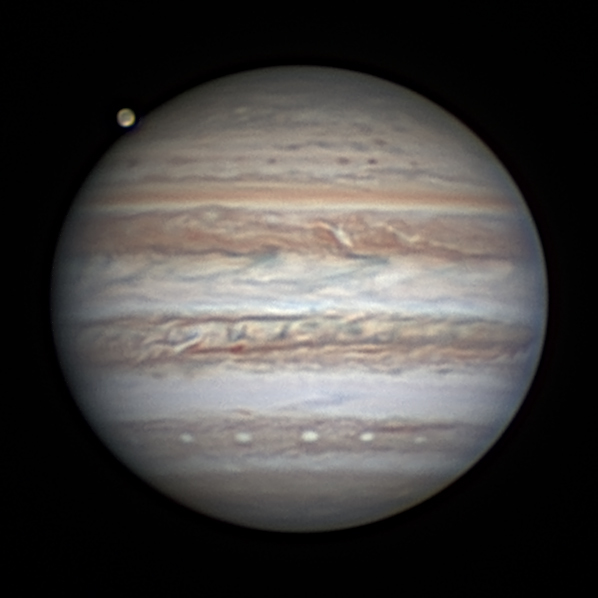 Even 9 cm Schiefspieglers showed an incredible amount of details on Jupiter while my 10“ reflector showed the washed-out, bright image I was used to. It was a very good night. I couldn’t believe my eyes. I barely saw the main belts. I would have loved to sit down next to one of these two Schiefspieglers and start sketching. It would have taken hours to sketch the details. The 11cm and 12.5cm Schiefspieglers were even more impressive. But the best telescope was a 8“ f/8.5 Newtonian reflector. The mirror had been hand-figured by a complete amateur. In all the years, there wasn‘t a single night with that much detail with my 10“ Meade mirror. Not even close. And I‘ve used that telescope for hundreds of nights. We tested the Meade mirror and it was worse than 1/4 wavelength in the wavefront with a rather strong turned-down edge. It was re-figured a couple of months later by an experienced mirror maker. It took him maybe an hour of work (re-figuring) after removing the coating and preparing the pitch. But I sold the re-figured mirror because in the meantime, I had my own 10“ f/11 mirror. That telescope delivers incredible views even though it was just my second self-made mirror. Back in the eighties, countless bad mirrors must have been sold. Sky and Telescope once tested 10“ mirrors and the only diffraction limited mirror was a Parks optical. I had another of these „diffraction limited“ cheap mirrors years later (about 8 years ago). The dealer promised me a good mirror - a 12“ in a dobsonian. It was impossible to go beyond 80 or 90x magnification and planets looked awful. I had my 10“ f/11 and a 12“ f/4.5 dobsonian to compare in these nights. The 12“ was just useless. I measured the mirror with a Foucault test and it had about 1/2 wavelenghts in the wavefront and I returned it. That doesn‘t mean you have to buy a Zambuto (I had one and it was very good). The problem with some cheap mirrors is you don‘t know what you‘ll get. I have a friend who has bought 4 mirrors and all were very good (Obsession, Discovery, Orion UK, Lightholder). I purchased 4 and two were plain awful (a Taiwanese mirror and the Meade) and two were excellent (a Zambuto and an Orion UK Lambda/10 in the wavefront). Other friends had even more bad luck than me. To make it short: If the mirror is not diffraction-limited with a bit of spare, it is useless. You can‘t compensate it with aperture. I had a 18" Nova mirror like that. It was fine at low power on deep sky, but once you started using high power on the planets they would never come into sharp focus. It was like you needed a 1/2 turn of the focus knob to get the image sharp but it never would get there. I think the bottom line is simple. It does not get any better than a true premium mirror. However, maybe more often than not, mass produced can be satisfying. maybe more often than not, mass produced can be satisfying. Because of diffraction, resolution in inversely proportional to aperture because the diameter of the airy disk is inversely proportional to the aperture. Mirrors are measured against what is possible for a mirror of their given aperture. A Strehl of 1.00 means that all the light that can be in the Airy disk, is in the Airy disk, A Strehl of 0.80 means that 80% of what is possible falls within the Airy disk. If one is comparing a perfect 6 inch to a 12inch with a Strehl of 0.80, one has to consider that the Airy disk of the 6 inch scope is twice the angular diameter of the 12 inch. What this means is that the majority of the light of the 6 inch falls outside the boundaries of Airy disk of the 12 inch. Roughly that would be about 75% outside, 25% inside. For the 12 inch with the Strehl of 0.80, it's 80 percent inside, 20% outside. I think this is most apparent splitting double stars. The Dawes limit, the Rayleigh criterion are based only on aperture and they hold true.. If the Airy disks are merged, the split cannot be made. Organized light, concentrated energy, resolution and contrast, however one wants to look at it, there's a real advantage to aperture. Getting the performance possible from a larger aperture is more difficult because of thermal issues and as aperture increases, seeing becomes more and more of an issue. As I understand it, what Jon says implies that for any given premium 1.0 Strehl mirror, there ought to exist an aperture at which a mass produced mirror (at say, a 1/3 wave) will be better (more of the light condensed in an even smaller airy disc). ... Making atmospheric seeing and thermal handling the relevant limiting factors. Jon's comments are correct. He speaks of Airy discs being inversely proportional to the aperture. Aberration and diffraction simply reduce it's brightness (peak intensity of the point spread function) with light diverted to the rings. So an aberrant 12" should easily split (nearly equal) doubles a perfect 6" cannot. When folks talk about premium and aberrant scopes, we are really talking about the beauty of the diffraction artifact with a textbook intensity distribution on the PSF and small scale extended object contrast. It sounds to me like your driving at encircled energy, an angular area where at least 0.8 of the light is found within it. This includes the Airy disc and probably the first ring, at least. So, what you can do is assume a nearly perfect 6" will encircle more than 0.80 of the light in the Airy disc, which is a Strehl close to 1. This would give you a ballpark figure for an "equivalent" aberrant aperture to a smaller perfect one. This approximation may apply in adverse seeing where the larger aperture Airy disc is not always visible. However, if the Aury disc is still visible, it'll still split tighter double stars. At the same time, the additional light in the rings will reduce small scale contrast and extended object resolution out to about the first ring and maybe a tad more. Edited by Asbytec, 04 December 2018 - 10:24 PM. Not a hypothetical for me. 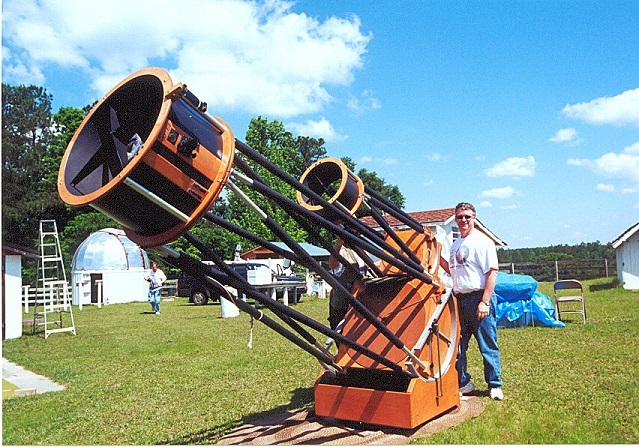 I have a 6" f/5 Dob with a Terry Ostahowski mirror from 2002 from when he was still at Discovery. Well, that part isn't hypothetical, but the only scope part is. I've never been tempted by Chinese scopes because of the variability in quality from quite good to bloody awful. And I don't like the steel tubes or their lack of mirror cell ventilation. My biggest scope is a 12.5" and that's a Terry O. mirror. I have now tested quite a few Chinese mirrors using Bath interferometer. About half a dozen 12", many 8" and two 16". Not a single one was below 0.8 Strehl (well one 8" was just marginal), with a few above 0.9 (including a 12" and a 16"), one well above 0.9 and a vast majority between 0.8 and 0.85 . From this admittedly limited sample I'd say that whatever method Chinese are using (manual labor or CNC polisher) they very consistently turn out diffraction limited optic. At prices they sell them, I would say a small miracle actually. I have also tested a few flats, and there you actually can find a true lemon (I bought two 70mm flats and they are both bad (not catastrophic but obviously astigmatic). This is also tested properly, by interferometer (Twyman-Green). Most flats that end up in an OTA seem decent. What I have also found is that they consistently put best optic into best/most expensive line (BlackDiamond or whatever), and worst optic seem to be reserved for ATMing (sold as optics parts, no OTAs). So they KNOW what each optics is like, which tells us they must use reliable metric (that Zygo shown in GSO video is not a fake!). PS this is all relatively recent stuff, GSO/Synta made with various branding. A few years back some of the Chinese telescopes were true abominations. One 8" f/4 set (I still have it) has nearly spherical mirror (with about one wave of astigmatism thrown in), and secondary was so bad that I think they simply used window glass, cut an ellipse and aluminized it. This is "no brand" scope with plastic focuser and a hammertone-like green tube. If you see one of those, stay well away!!!! PPS I have also tested a Zambuto 8" f/6 using Bath IF; it came out with a 0.98+ Strehl ! But keep it in perspective. This image was done by my friend Mark with a run-of-the-mill 12" GSO - solid but not exceptional (I think it tested about 0.87 Strehl (*)). Yes, that is detail on Ganymede !!! Edited by bratislav, 07 December 2018 - 02:51 AM. Incredible. Very impressive indeed ! Was especially impressed with the nicely rendered photo. Thanks for the good data! If you're so inclined, it might be interesting how the star tests generally correlated with the bath results. I still don't think I've seen a perfect star test but been close a few times. I've looked through some very good Chinese reflectors, also. When I was making a lot more mirrors, it was nice to make a batch as it seemed once things were dialed in with the machine and laps, I could make substantial progress. One off usually seemed to take a lot more work to get results that were "time profitable". Bob Goff told me once to, "make 'em in batches - you'll be happy!" Add me to the 10". Owning both 10 and 12, my 10s get more use just because handling and transport is easier. F5 for car, F6 for home. F6 is my favourite having 1/10 wave. I do use my 12", but it is heavier and light grasp though better, is only good really dark clear nights. It takes longer to cool. Skywatcher F5 mirrors so probably 1/4? The difference in OTA solid tube thickness and weight between 10 and 12 inch solid tubes is greater than the extra 2 inches of aperture might suggest. My 10 F6 and 12 F5 are almost same length, but for carrying vertically the 10 has more appeal. For solid tubes, their diameter is 2 more inches than that of their primary mirror, and the volume weight of a 2 inches wider mirror, solid glass, is again an increase to consider. Then cel and stand are bigger, and heavier too.